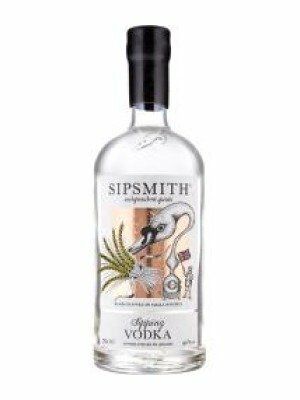 Sipsmith Sipping Vodka is a popular Vodka available from TheDrinkShop in 70cl to buy online. Visit TheDrinkShop for the best price for 70cl of Sipsmith Sipping Vodka or compare prices on our other Vodka products. Local London distillery Sipsmith have been creating artisan drinks for a while now and the Sipping Vodka is the latest in their range. Made from British wheat and distilled in their copperpot still 'Prudence' the result is an unfiltered Vodka perfect for sipping on the rocks or in a cocktail. Sipsmith Sipping Vodka is 40% abv. Where to buy Sipsmith Sipping Vodka ? Sipsmith Sipping Vodka Supermarkets & Stockists. You can buy Sipsmith Sipping Vodka online in most retailers and find it in the Vodka aisle in supermarkets but we found the best deals online for Sipsmith Sipping Vodka in TheDrinkShop, Amazon.co.uk, and others. Compare the current price of Sipsmith Sipping Vodka in 70cl size in the table of offers below. Simply click on the button to order Sipsmith Sipping Vodka online now.